2005-2007 Dodge Magnum black projector headlights are the next wave of the future. The Magnum projector headlights have eye brows and LEDs. Dual halo (angel eyes) rings with the amber reflector. 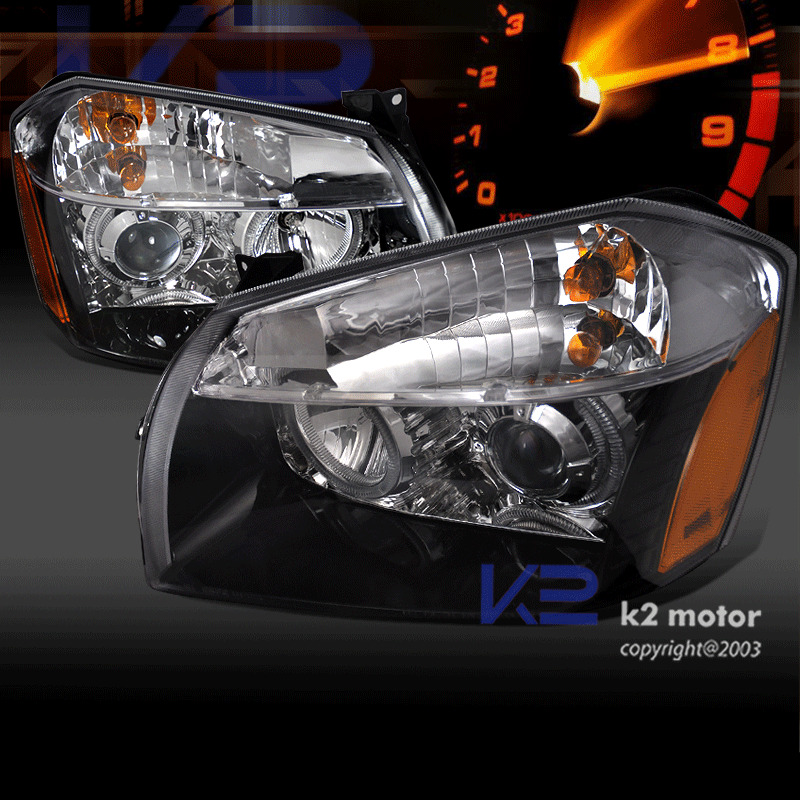 Moreover, the Dodge projector headlights are compatible with the HID system. They come with both the driver and passenger side. The beams can be adjusted with the three screws that the you see in the back of the projector headlights.